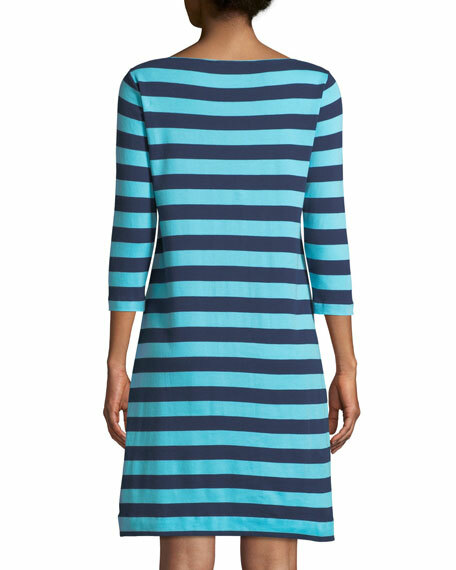 Joan Vass dress in striped interlock knit. Slash zip pockets at hips. 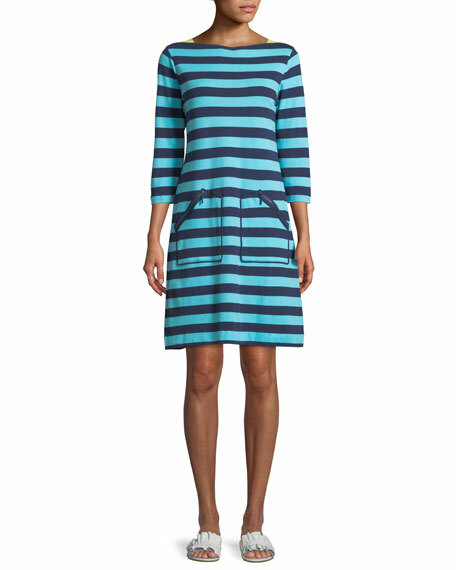 For in-store inquiries, use sku #2459775.